Four-alarm blaze reported at Howser Steel around 1 a.m. on Friday, Sept. 28. 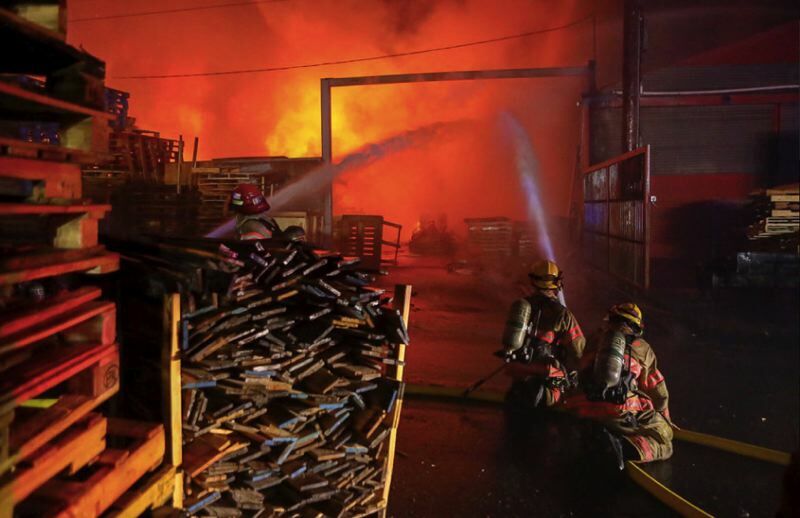 Fire investigators say a four-alarm blaze at a North Portland steel business was caused by "improper control of an open fire." Portland Fire & Rescue found a "burn barrel" that was located too close to a large stack of wood pallets at the steel shop, located at 8235 N. Kerby Avenue in the Piedmont neighborhood. The commercial fire was first reported around 1 a.m. on Friday, Sept. 28, according to a news release. The metal-clad building was engulfed in flames when firefighters arrived. Crews said that difficulties were caused by large embers drifting into the neighborhood, overhead power lines and the large distance between fire hydrants. The fire chief issued a fourth alarm, and multiple engines and ladder trucks responded to douse the fire. One firefighter was evaluated for heat exhaustion but did not require transport to a local hospital. No other injuires were reported, and no one was inside the building at the time of the fire.